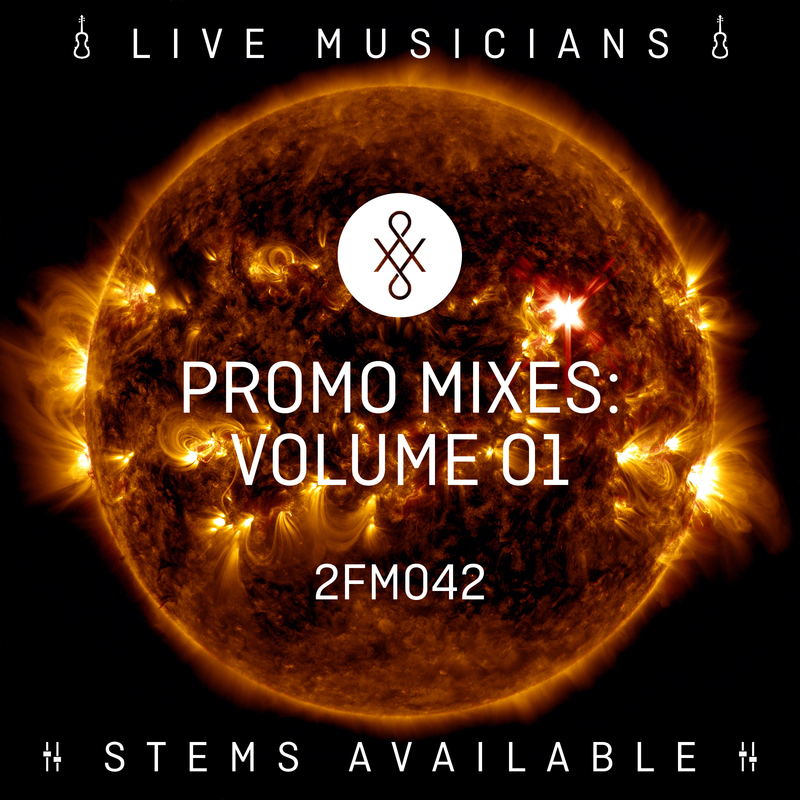 Bolder, brasher and more blasting than ever before, 2FM042 Promo Mixes: Volume 01 features some of 2FM’s classic hybrid orchestral tracks remastered especially for the loudest, most earth-shattering moments on screen. Featuring energetic strings, powerful brass and dramatic drums - recorded live - alongside gritty custom synth textures, this album is packed with intense force. This album features a mix of moods: dark espionage operations (“Mission Preparation”, “Target Acquired”), heartfelt epics (“Emotional Inevitability”, “Keeping Hope Alive”), gritty urban chases ("Illegal Download”, “Rogue Pursuit”), determined tenacity (“Relentless Determination”, “Refuse the Inevitable”) and all-out campaigns for glory (“Impending Adversary”, “Striving for Victory”). Tracks on this album appeared originally on 2FM001 Orchestral Hybrids and 2FM016 Industrial Hybrids: Beds & Builders. All tracks were composed by Daryl Griffith & Bradley Farmer. This wide-ranging selection of tracks will be suitable for promos, films, advertising, contemporary urban settings, investigations, espionage, extreme sports and dramatic action. Tracks are also available in 60-second and 30-second versions, and are easily editable to more customised timings.